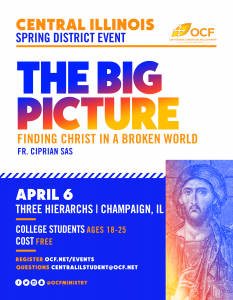 Trip Mission – Orthodox Christian college students will journey from the United States to Thessaloniki, Greece, in order to personally experience the living μαρτυρία (witness) and διακονία (service) of the Christian communities of Northern Greece. The host institution will be the historic Great Church of the Theotokos, that is, the Church of the Acheiropoietos, which was built in the center of Byzantine Thessaloniki in the fifth century. 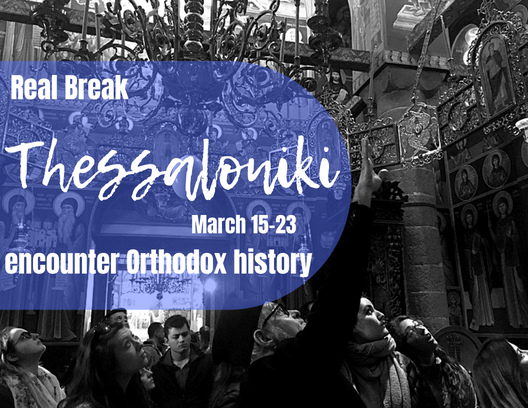 During Real Break Thessaloniki, the students will visit many of the region’s sacred sites and venerate the numerous relics and icons that have adorned them for centuries. This includes the churches and relics of St. Demetrios, Sts. Cyril and Methodios, St. Gregory Palamas, St. Theodora and St. David, as well as the churches of Rotunda, Haghia Sophia, St. Nicholas Orphanos and the Holy Apostles. Participants will also visit the Holy Monasteries of Meteora and Ormylia. Additionally, trip participants will have the opportunity to experience several outreach ministries of the Metropolis of Thessaloniki.